Make yourself at home in one of the 149 air-conditioned rooms featuring refrigerators and LCD televisions. Rooms have private balconies. Complimentary wireless Internet access keeps you connected, and cable programming is available for your entertainment. Bathrooms have showers and hair dryers. Satisfy your appetite for lunch or dinner at the hotel's restaurant, or stay in and take advantage of the room service (during limited hours). Quench your thirst with your favorite drink at the bar/lounge. A complimentary buffet breakfast is served daily from 7:00 AM to 10:00 AM. With a stay at Hotel Sued's Plaza in Porto Seguro (Taperapua Beach), you'll be within a 5-minute drive of Axe Moi Entertainment Complex and Complexo de Lazer Toa Toa. 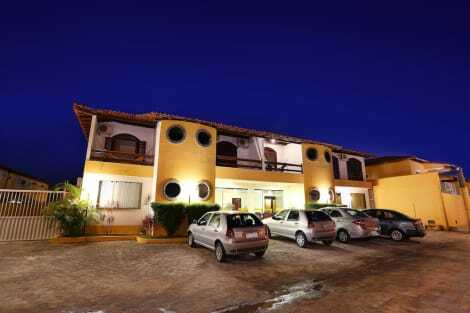 This hotel is 2.8 mi (4.4 km) from Muta Beach and 4.5 mi (7.3 km) from Coroa Vermelha Beach.